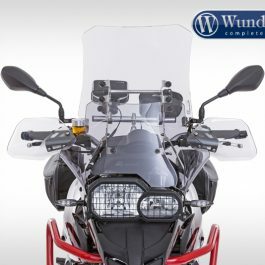 The high-quality handlebar central support made of aluminium is 250 mm long with a diameter of 12 mm and the surface is glass bead blasted. 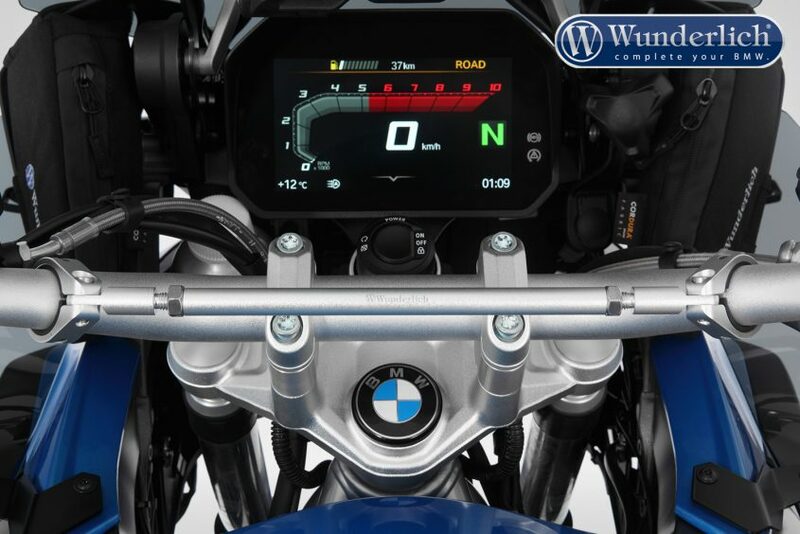 The width can be individually adjusted to various handlebar shapes and diameters. 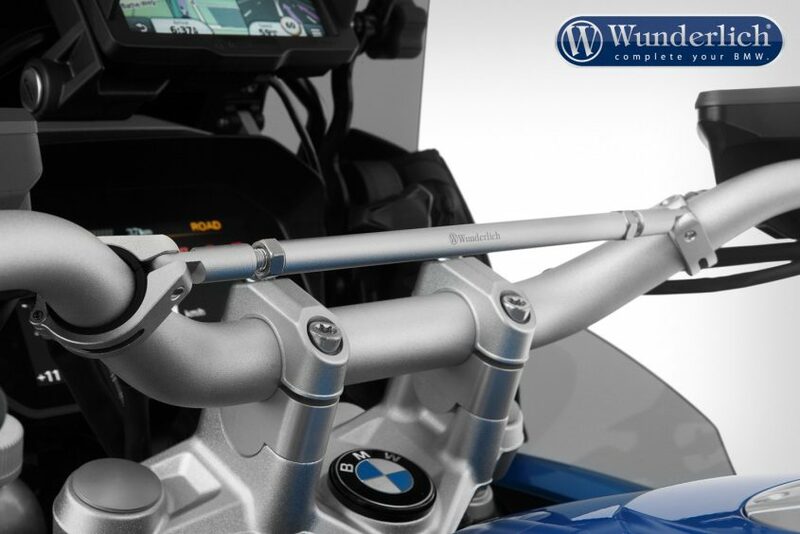 The mountings are also suitable for cone-shaped handlebars. 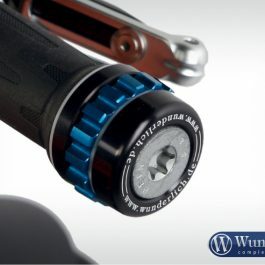 As well as emphasising the off-road look, it also serves as the perfect base for attaching accessories. 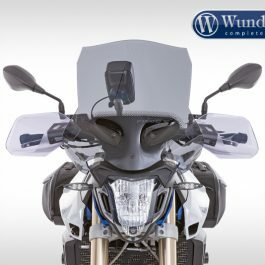 The central support attaches to the handlebar via elastic adapter sleeves, thereby ensuring the strut and handlebar are decoupled. This means electronic device in particular can also be attached vibration-free. Serves as a base for all types of accessory such as GPS, Roadbook, Tripmaster, mobile, etc. 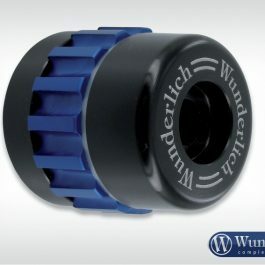 Wunderlich premium product. Small batches. Made by hand. 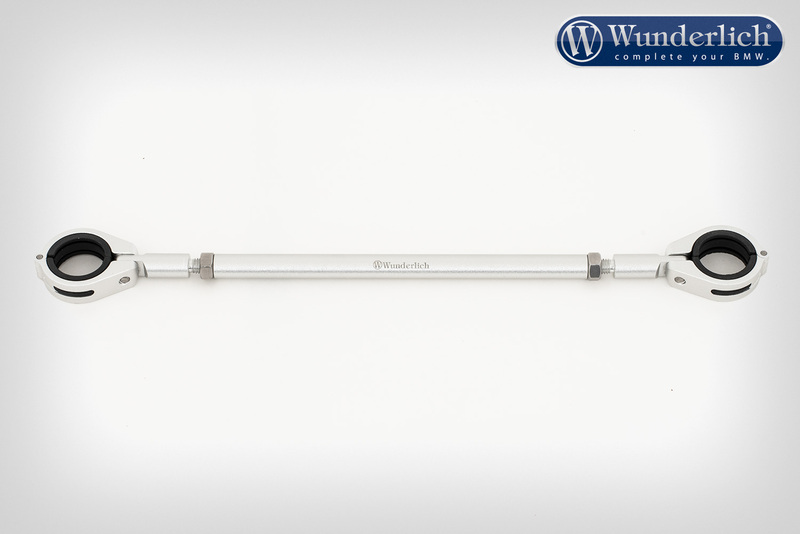 Be the first to review “Wunderlich universal crossbar – 250 mm – silver” Click here to cancel reply.